Fabulous location! 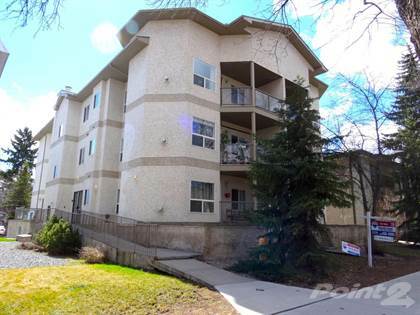 Close to U of A, Whyte Ave. & all kinds of shopping, dining & transit. This Very bright & Sunny (100% above ground Level) 2 bedroom 2 bathroom is perfect for students or professors. Large Master Bedroom with Large Walk In Closet & 4 piece Ensuite Bathroom. The 2nd Bedroom is located at the front of the unit offers privacy & separation from the master & has its own 3 pc bath near the front as well. The Laundry Room offers Ensuite storage & there is a very generous sized Pantry/Closet as well. The balcony is large & offers some privacy, a corner gas fireplace keeps you toasty on cold evenings. Freshly Painted in Neutral colours, New Carpet in the bedrooms, Wheelchair Ramp. Hi, I'd like to find out more information about 10719 80th Avenue. Thanks so much!